Fully Thyristorised D.C Welder T-Series is a combination of high quality performance, site worthy construction and sleek good looks. 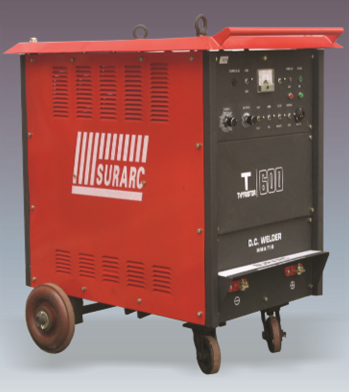 Apart from a D.C. Manual welder, T-Series is an excellent machine for D.C. TIG Welding with suitable accessories. Unique continuous control of ARC force from soft to hard penetrating arc. Smooth, Stable ARC with very low ripple for consistent X-Ray quality welding. Compact, lightweight power source for easy manoeuverability – incorporating latest international design & production technique. Remote control for both current and Arc Force is possible upto 100 meters distance. Remote socket provided.